Winter season always calls for quick and hot starters or snacks in my house and this is one of them. At the beginning I got few batches which got a little soggy. 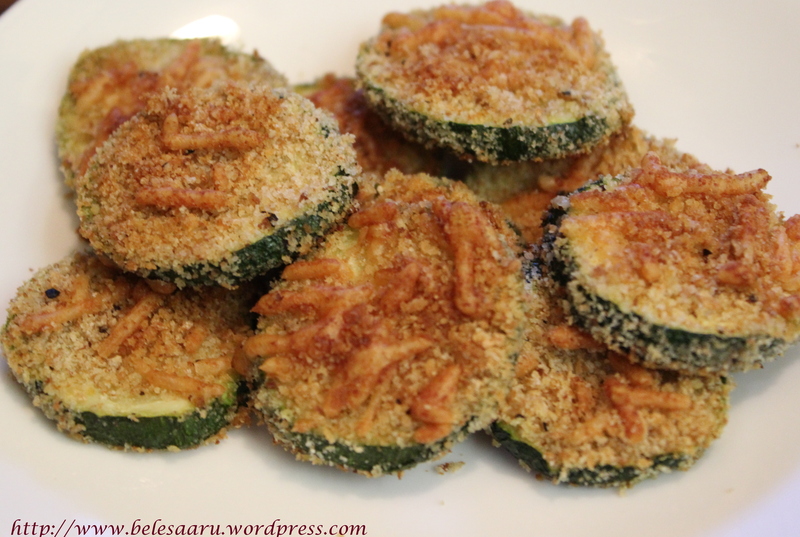 After going through the web, I started preheating the baking sheet too and then started layering the zucchini and they turned perfect and crispy. 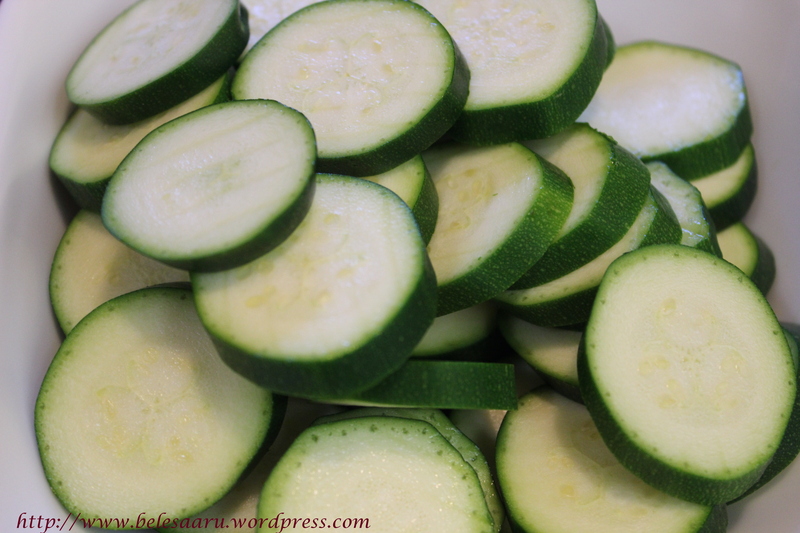 Preheat the oven to 450 degree F. Mix all the ingredients expect zucchini in a bowl. 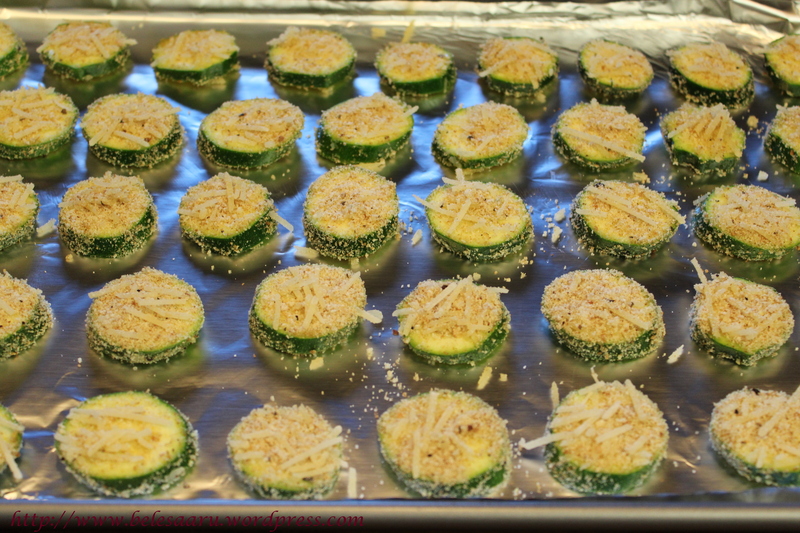 Then dip the zucchini rounds on both sides and layer them on the preheated baking sheet which has been greased with cooking spray. Bake them until they are brown and crispy for 28-30 minutes and serve immediately! 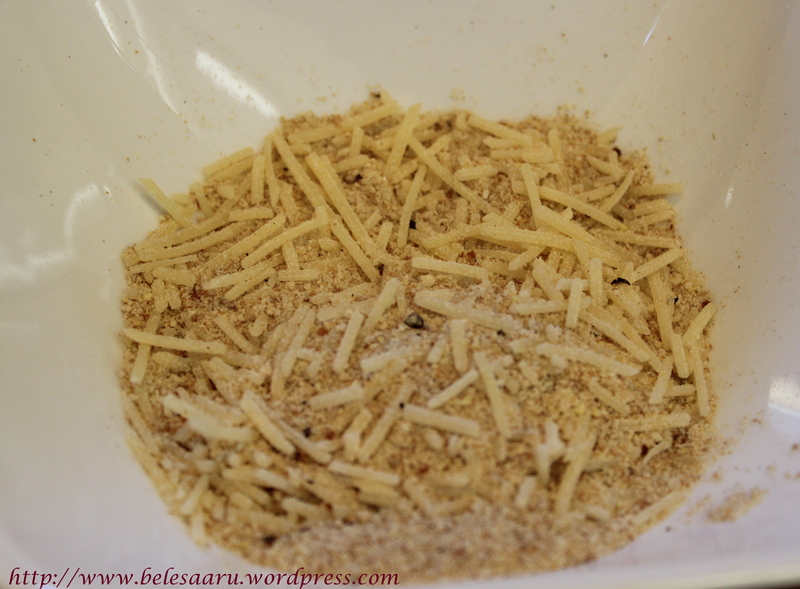 I love parmesan and these look so simple to make, yet delicious. They would rock with a cup of tea. 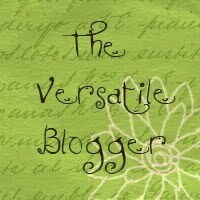 Very much Sonali! Parmesan goes very well with all these crisps!! These look great! Perfect snack food.